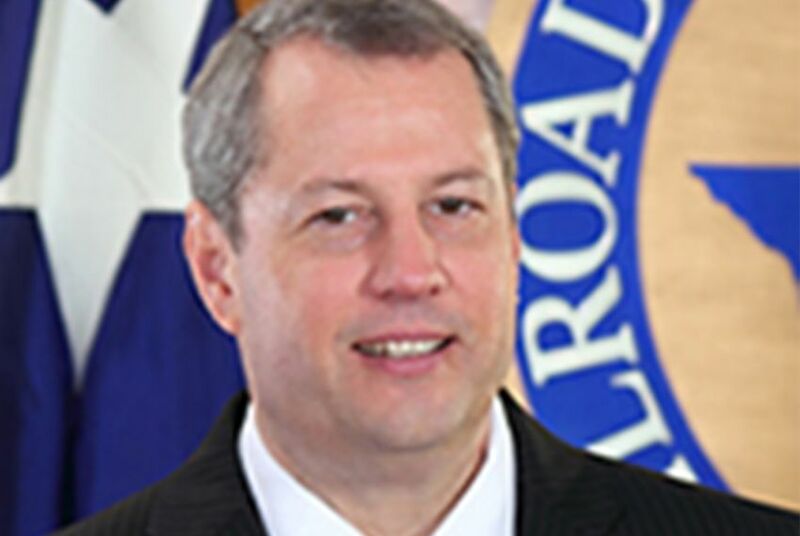 Railroad Commissioner David Porter announced Thursday that he will exit his primary battle against Republican activist John Greytok. Former Land Commissioner Jerry Patterson is exploring a run for the seat. Railroad Commission Chairman David Porter. Texas Railroad Commission Chairman David Porter will not be running for re-election after all. Thursday's surprise announcement from Porter, who was first elected in 2010, unleashed a flood of interest from Republicans pondering bids for his seat. Former Texas Land Commissioner Jerry Patterson, state Rep. Jim Keffer, R-Eastland, and former state Rep. Wayne Christian, R-Center, all confirmed they are weighing their options. And rumors were swirling around Austin that others might jump in. The would-be candidates will need to decide their futures quickly; a Monday filing deadline is fast approaching. Porter said Thursday that he will be exiting a primary battle against longtime Republican activist, attorney and lobbyist John Greytok, and Gary Gates, a wealthy real estate agent and cattle rancher. “After much thought and consideration, my wife Cheryl and I have decided to withdraw from my race for re-election to the Railroad Commission," Porter said in a statement. "This decision was not an easy one, but I feel that all the goals I set out to achieve were accomplished during my tenure. Now is a good time to focus on my family and my return to the private sector." In a statement saying he was considering a run, Patterson said Texas is "facing two Jihads," one by "foreign terrorists," the other by "domestic 'terrorists' to manipulate public opinion against the oil and gas industry." "As Texas Land Commissioner managing the oil and gas portfolio of the Permanent School Fund, I set all-time revenue records," Patterson wrote. "My experience is deep and wide. I will be able to perform the duties of Railroad Commissioner on day one." Keffer, who chairs the House Committee on Natural Resources, told the Tribune he is "shocked" that Porter is dropping out, and was making calls to see if he can gather support. He said he had no plans to challenge Porter but wanted to ensure the remaining candidates had oil and gas experience. “There’s a lot of thinking, a lot of talking to do," he said. Christian might also join the fray, said Travis McCormick, an adviser, after Porter's exit transformed the calculus. Last year, the East Texan lost a primary runoff for the Railroad Commission seat that Ryan Sitton now occupies. Porter, who formerly ran a Midland accounting firm that catered to oil and gas companies, was elected to the three-member commission in 2010. And he took over as chairman in June. At the agency (which also regulates mining, pipeline safety and natural gas utilities, but not railroads), Porter launched the Eagle Ford Shale Task Force, a collection of public officials, industry leaders, landowners and environmentalists who discussed issues surrounding oil and gas development in Texas’ drilling country. He also pushed Texas to find new uses for natural gas — particularly as a fuel for automobiles. Last year, as Denton was preparing to vote on a hydraulic fracturing ban that the Legislature has since outlawed, Porter drew mocking from activists after he and another commissioner claimed — without evidence — that Russians were trying to shape the anti-fracking message in the North Texas town. In recent weeks, Porter appeared to be gearing up for a major primary battle, sending out press releases blasting “radical environmentalist ideology” related to climate change and speaking of terror threats to power plants and pipelines posed by The Islamic State, or ISIS. Instead, he thanked voters and staffers on Thursday for their support in a tenure he's wrapping up. Porter was set to face Greytok, who announced a bid in October, and Gates, who more recently jumped in. The race is the first big one for Greytok, who spent four years as special assistant attorney general for Texas. But he’s been a precinct chair. And in 1994, he helped his mother Marta try to unseat Land Commissioner Garry Mauro, whom she held to 50.19 percent of the vote. A Greytok spokesman said the Republican believes Porter isn't doing enough to address President Obama's "war on energy," and he'd like to see the Railroad Commission fight alongside Attorney General Ken Paxton in the state's litany of lawsuits against the U.S. Environmental Protection Agency. And Greytok wants the agency to initiate lawsuits as well. “John believes that you could do for the Railroad Commission what Greg Abbott did for the attorney general’s office,” said Kasey Pipes, the spokesman. As for Gates, it’s his second major office run in the past two years. Last December, he lost to state Sen. Lois Kolkhorst, R-Brenham, for the seat she now holds. Gates took more than 34 percent of the vote. Gates could not immediately be reached for comment on Thursday. It appears that he rebranded his Senate campaign website for the new race last week. In his bid for Kolkhorst’s seat, Gates pitched himself as the anti-establishment candidate, saying he is not “trying to make a career” by running. He also identified border control as a top priority. Correction: This story originally said that candidates have until Monday to file with the Texas secretary of state. Filings are due Monday to candidates' political parties.